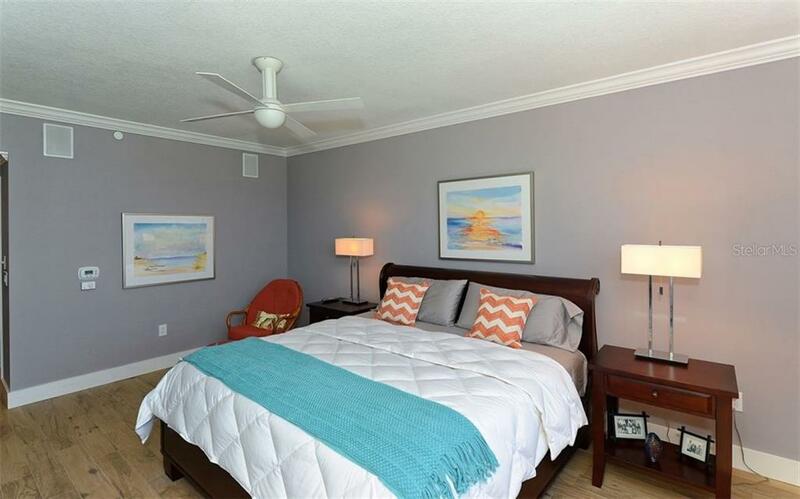 Ask a question about 1800 Benjamin Franklin Dr #a604, or schedule a tour. 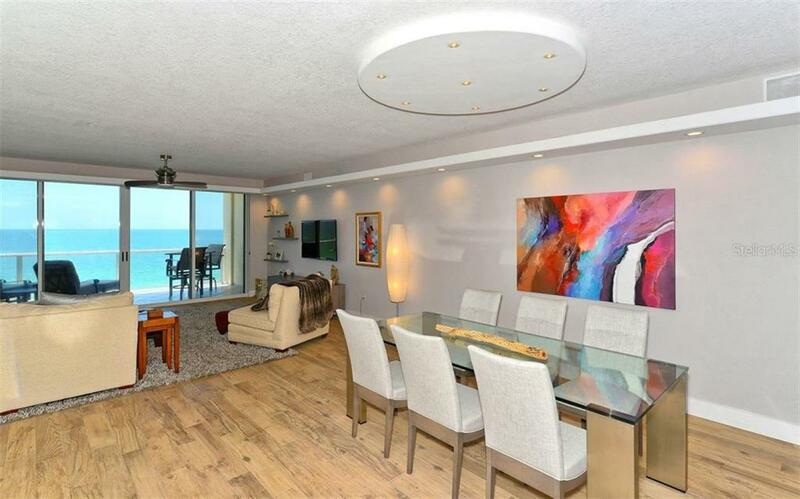 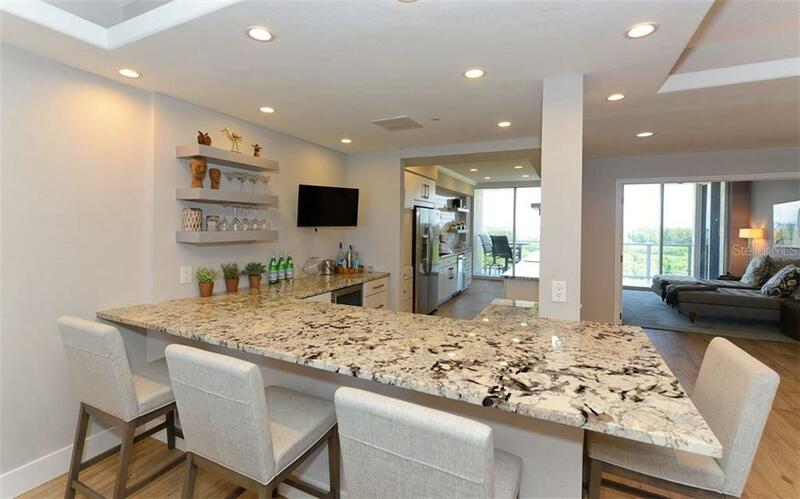 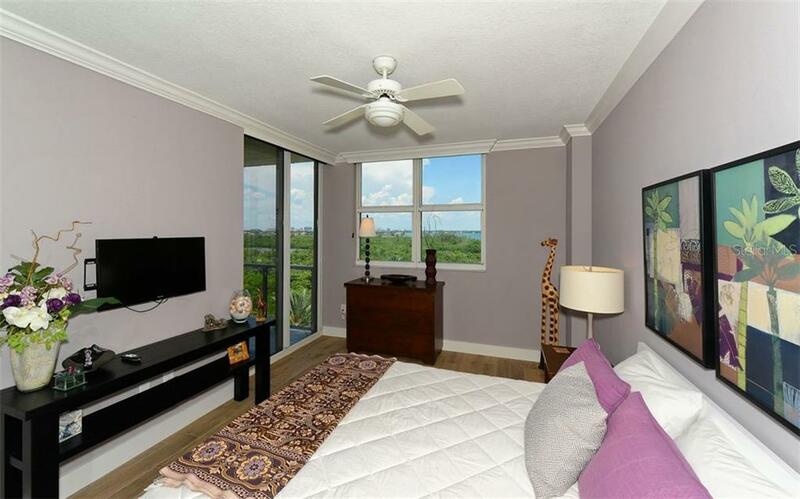 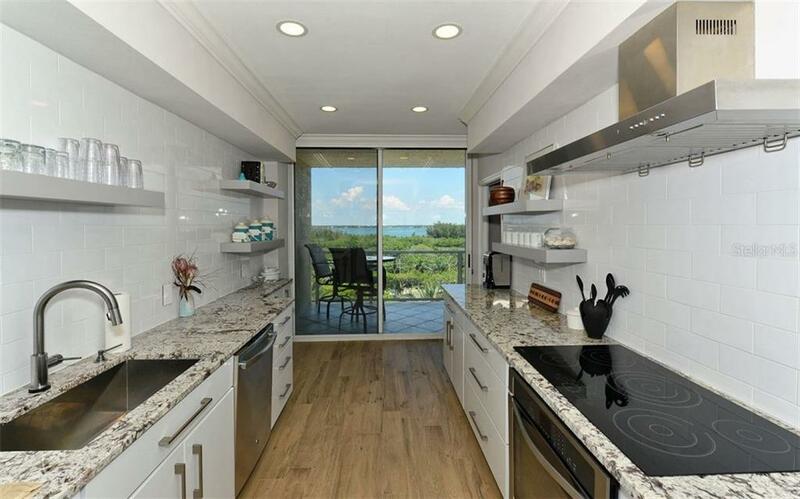 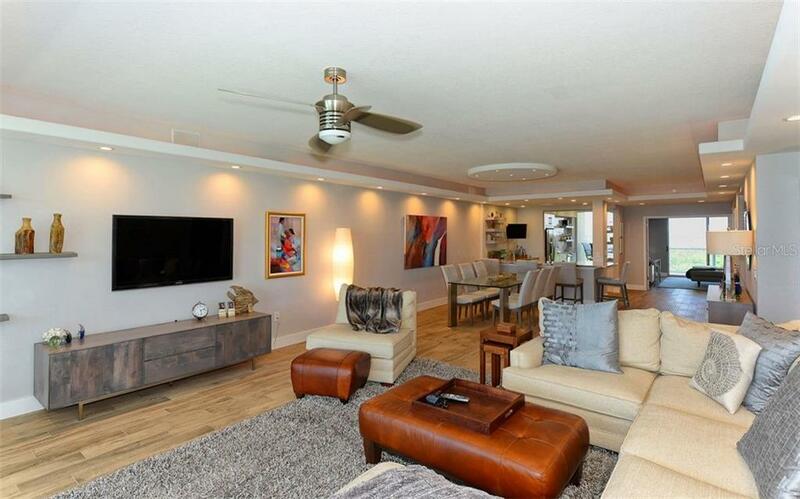 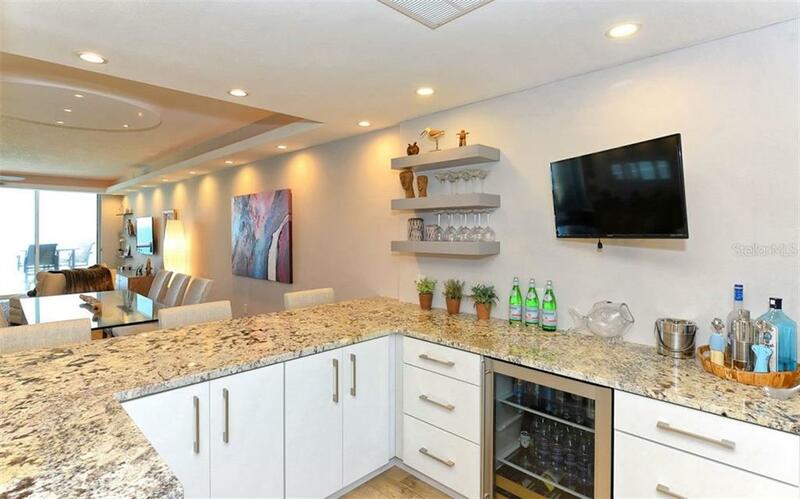 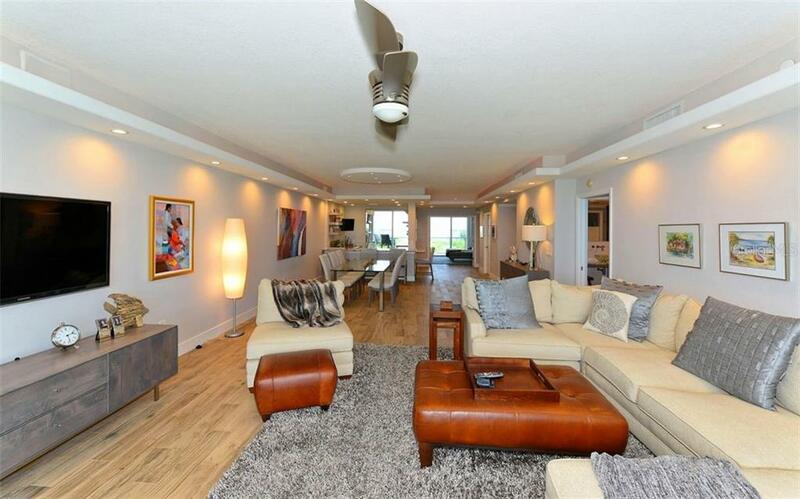 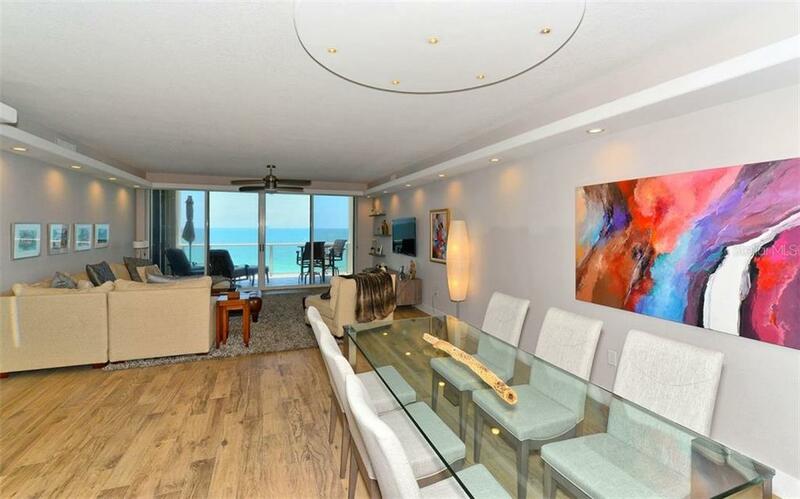 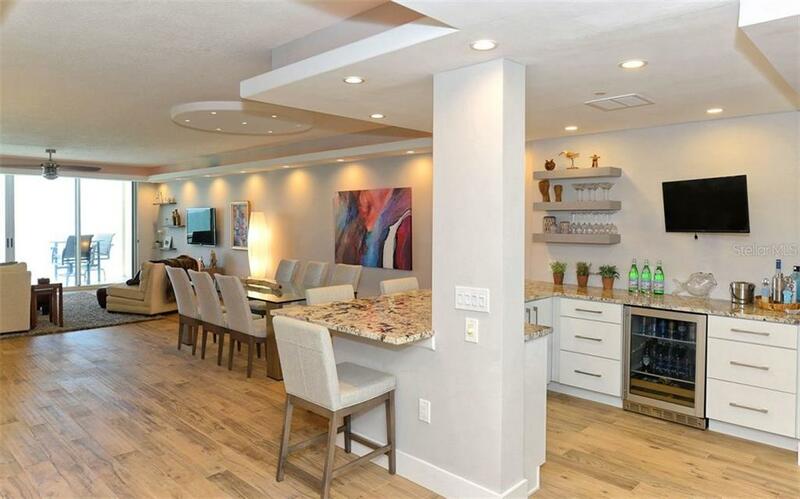 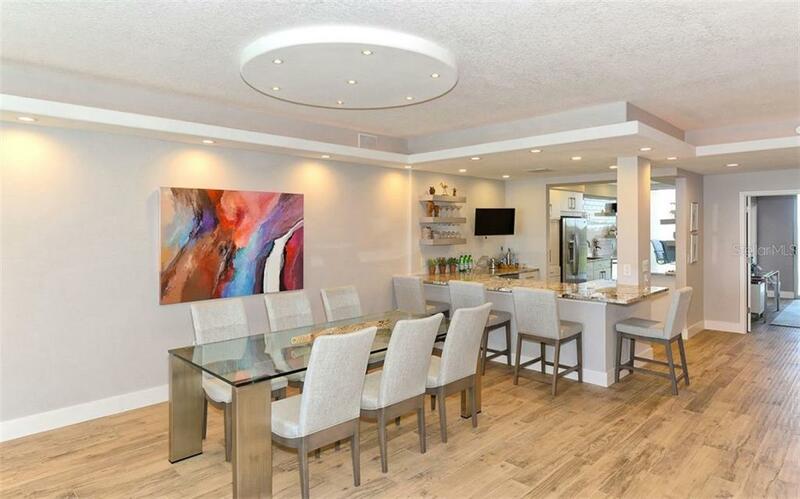 The WOW factor is the best way to describe this completely renovated 3 bedroom / 3 bath condominium which offers the best of both worlds from it's 2 balconies. 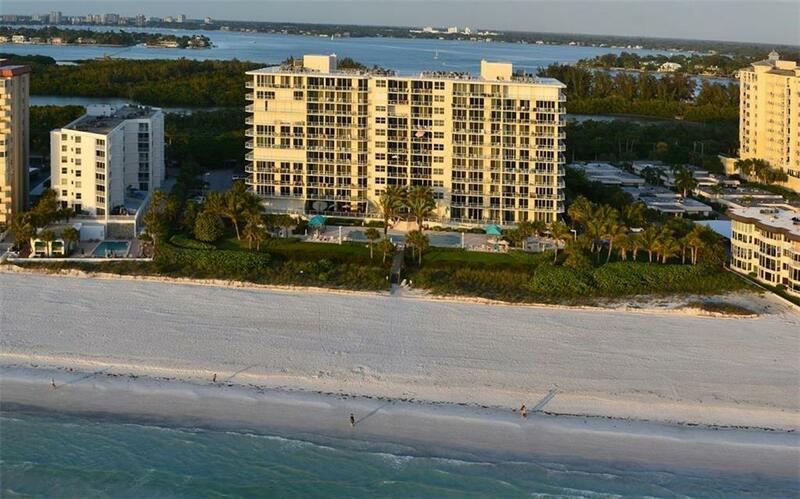 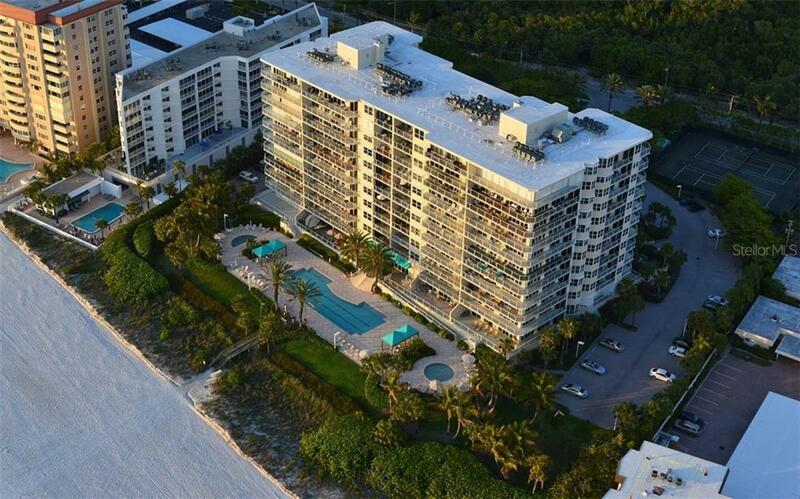 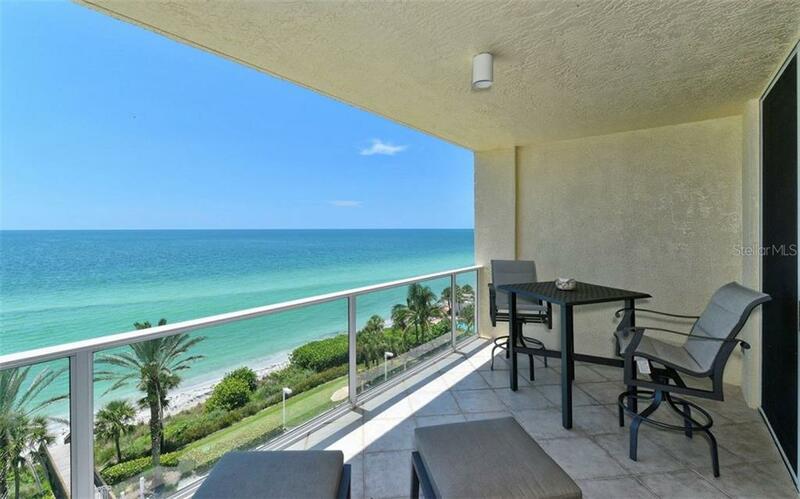 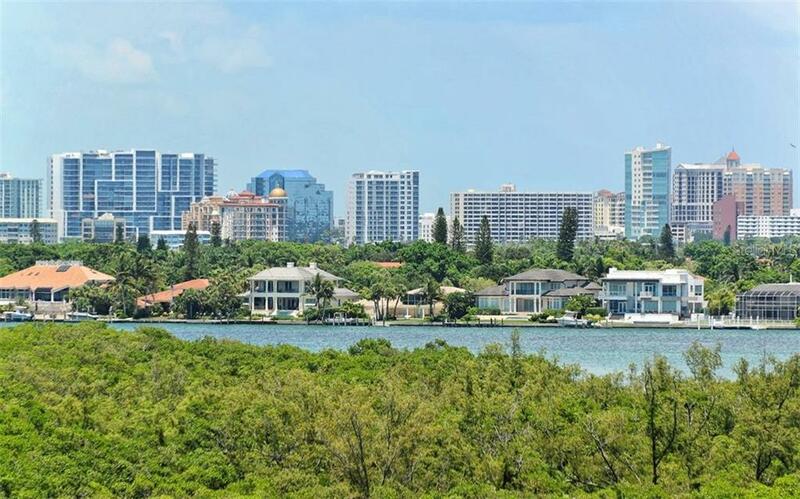 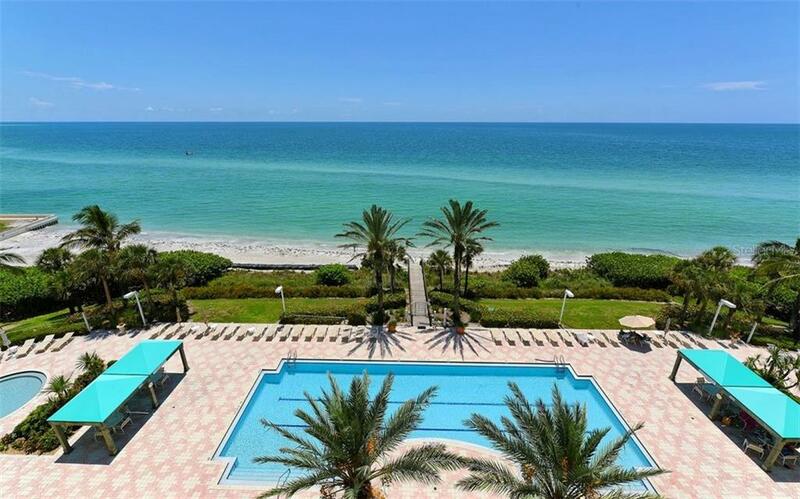 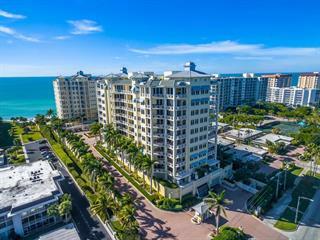 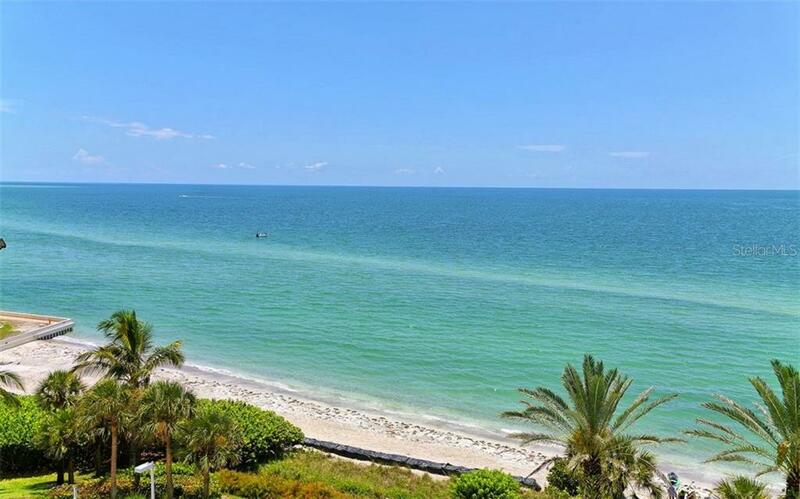 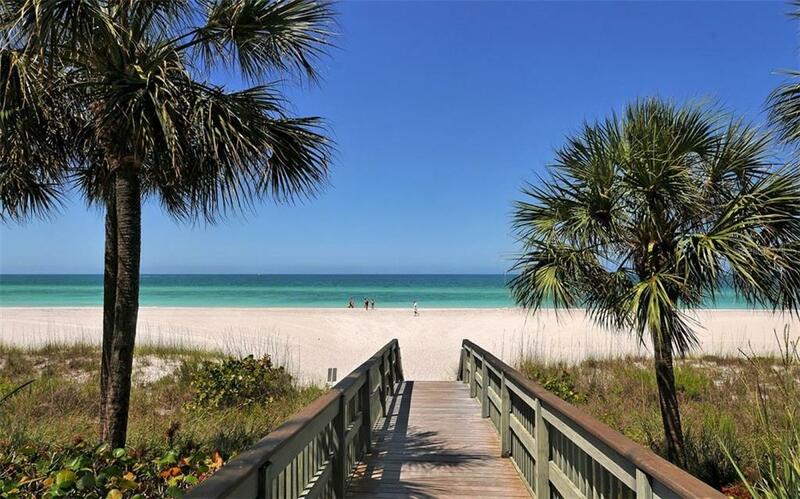 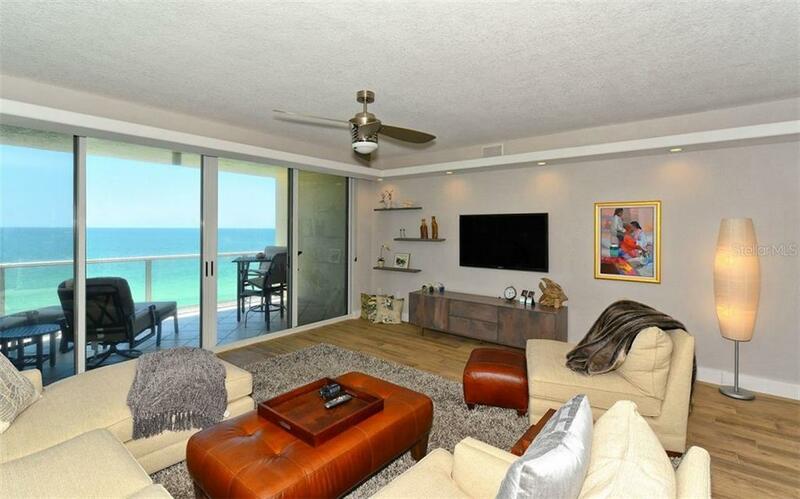 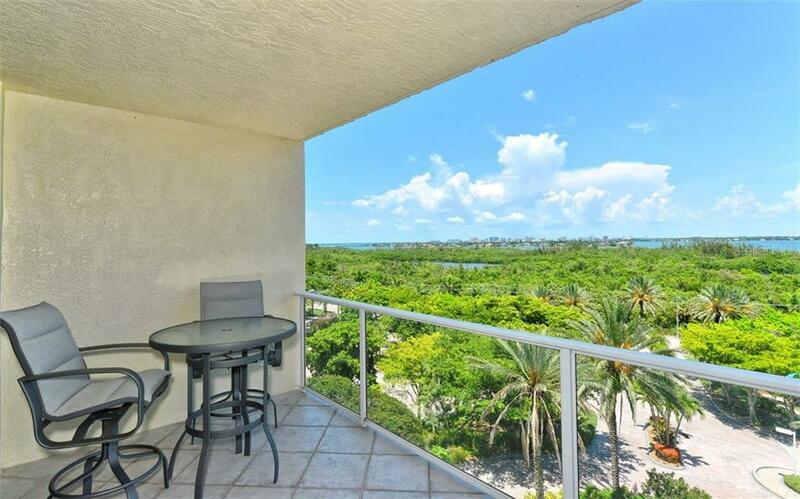 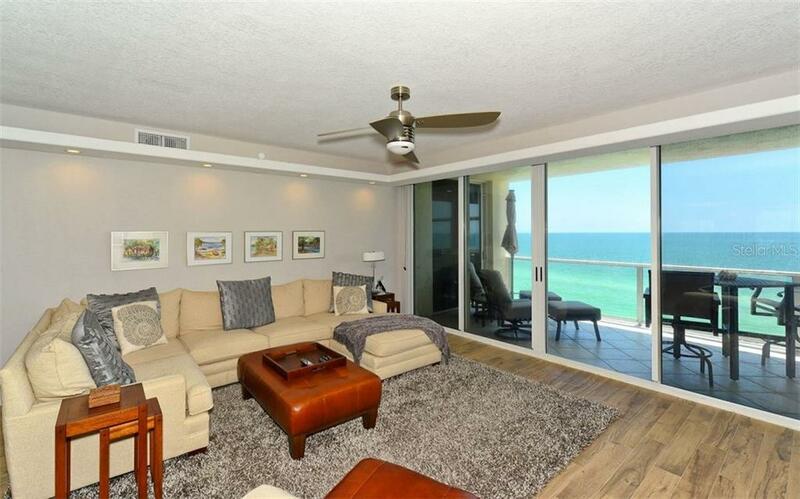 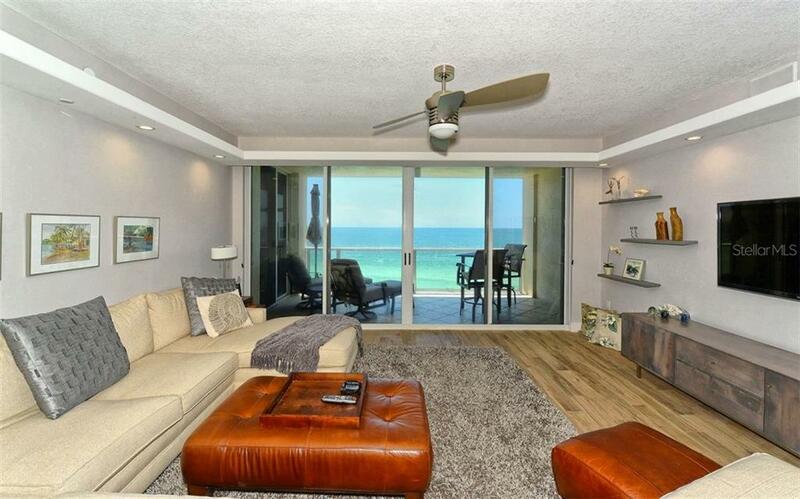 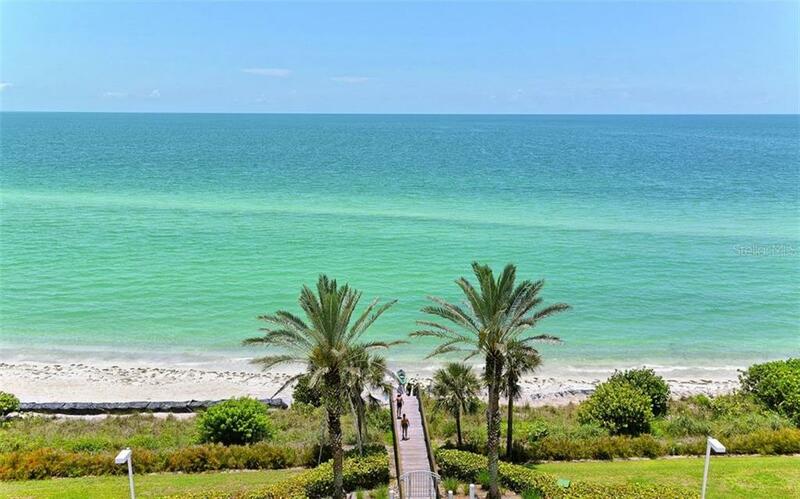 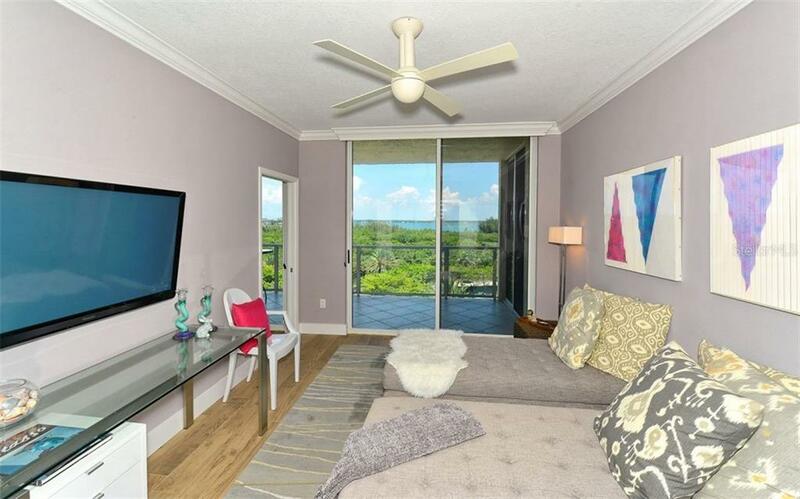 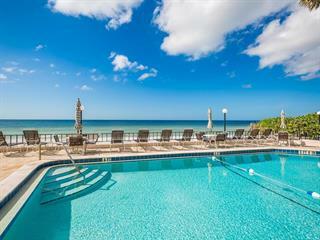 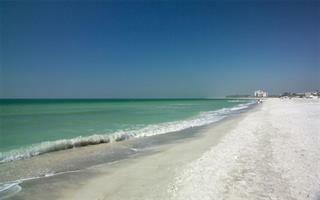 The east balcony has beautiful views across the bay to Downtown Sarasota an... more.d the west balcony offers magnificent Gulf of Mexico vistas. 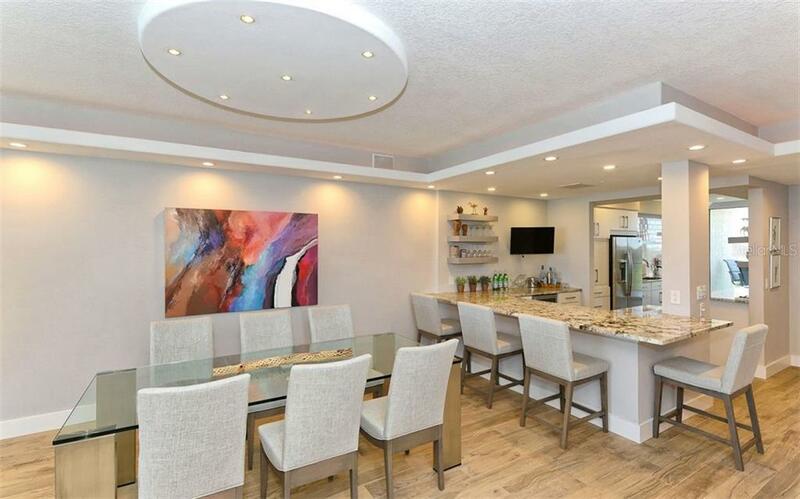 The open spacious floor plan is perfect for entertaining with a light bright kitchen, granite countertops and bar area. 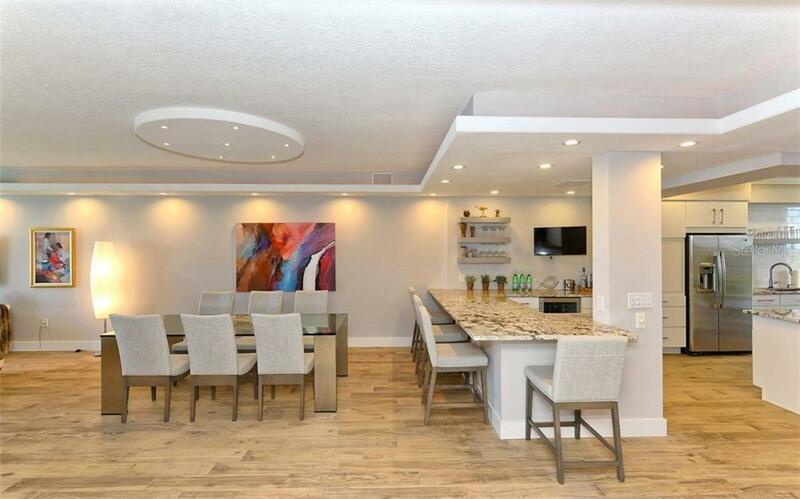 The high end finishes are visible from floor to ceiling and carried throughout. 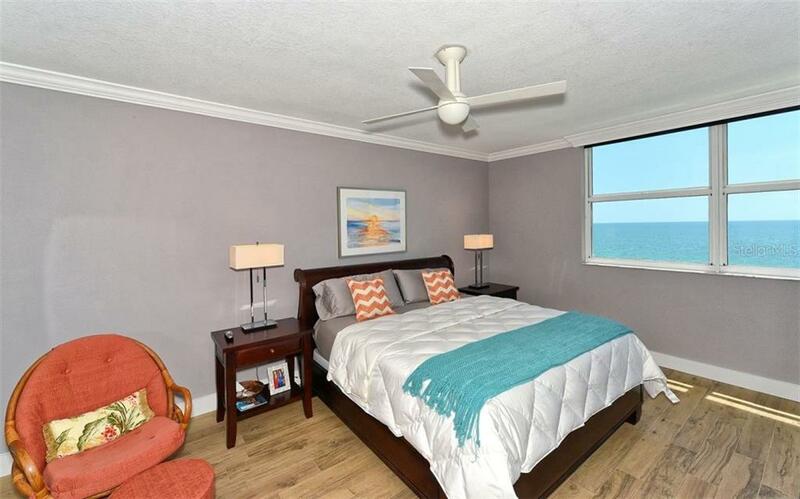 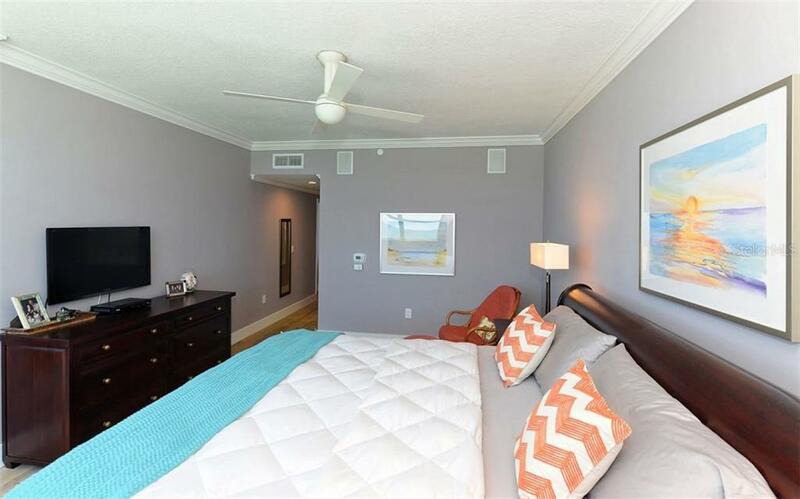 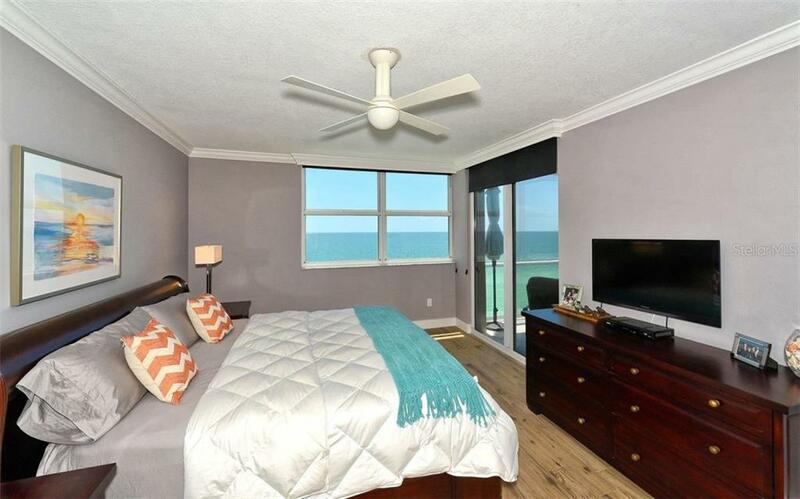 The large master bedroom suite looks out to the beach and turquoise water and includes a designer bath and walk in closet.The laundry room has plenty of room for storage and a tub sink. 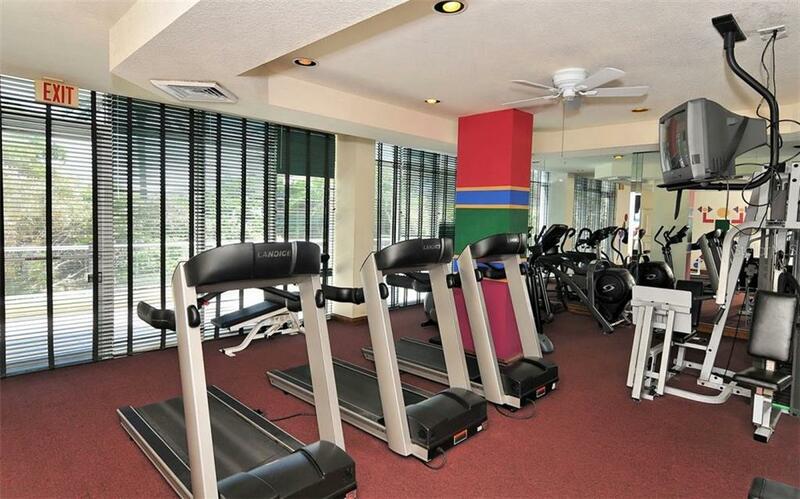 Underbuilding parking and a storage unit, exercise room, card room and on site management complete the list of amenities. 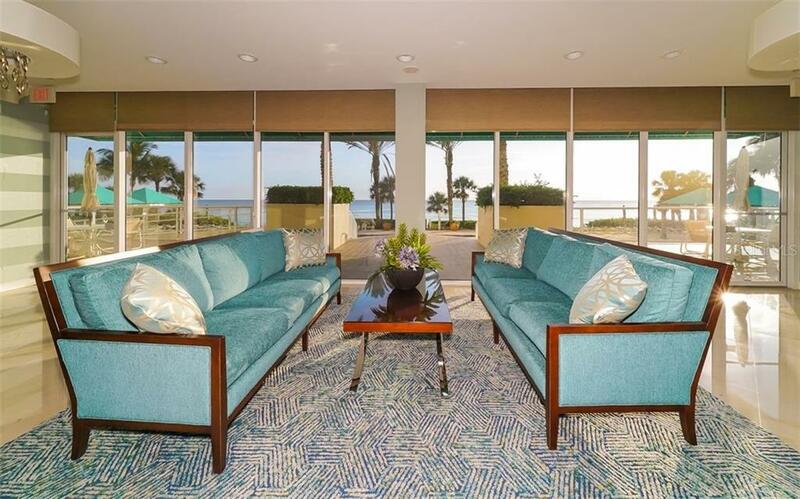 L'Elegance is a pet friendly building with a recently redesigned beachy elegant lobby that looks out to the resort style pool deck, hot tub and wading pool. 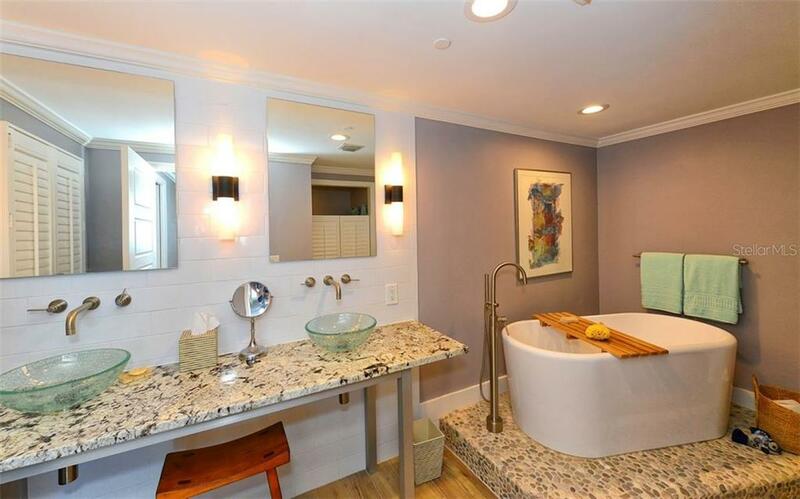 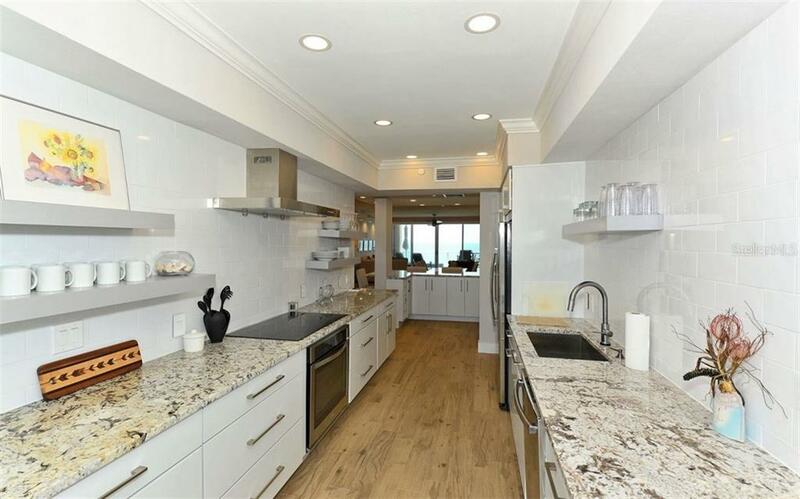 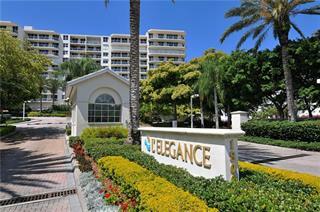 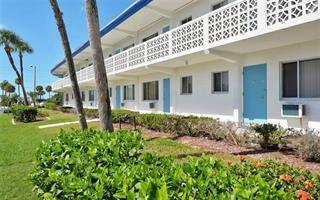 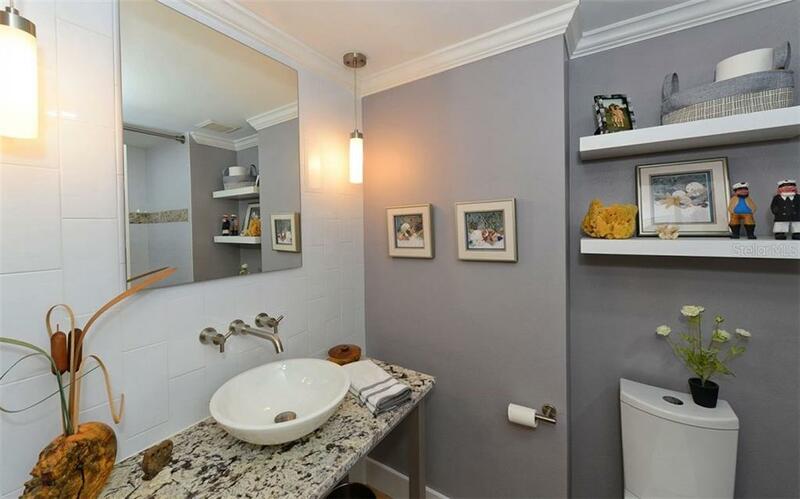 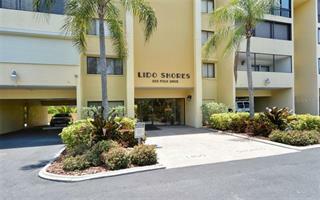 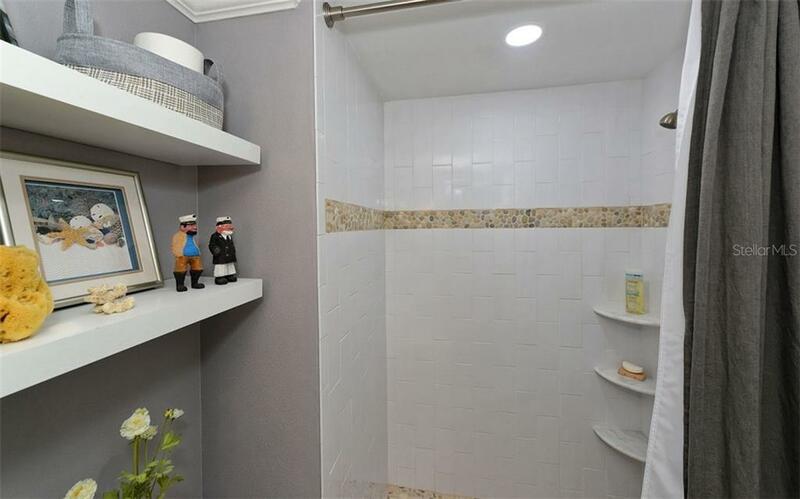 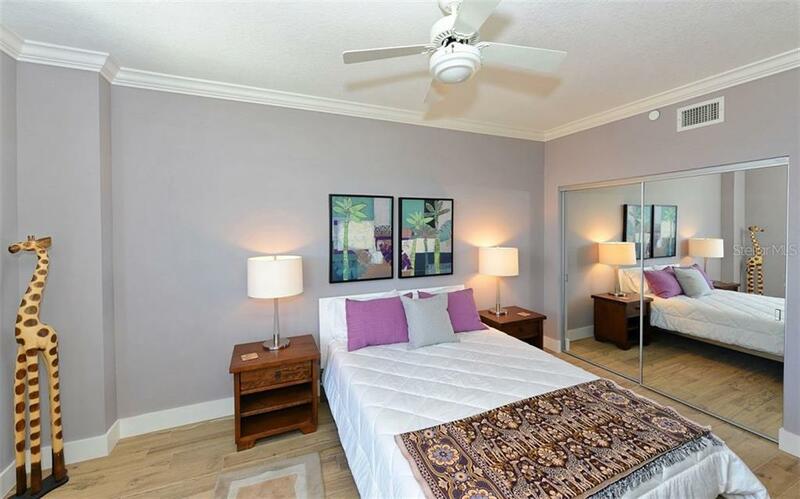 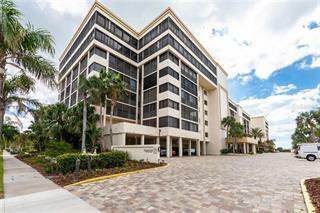 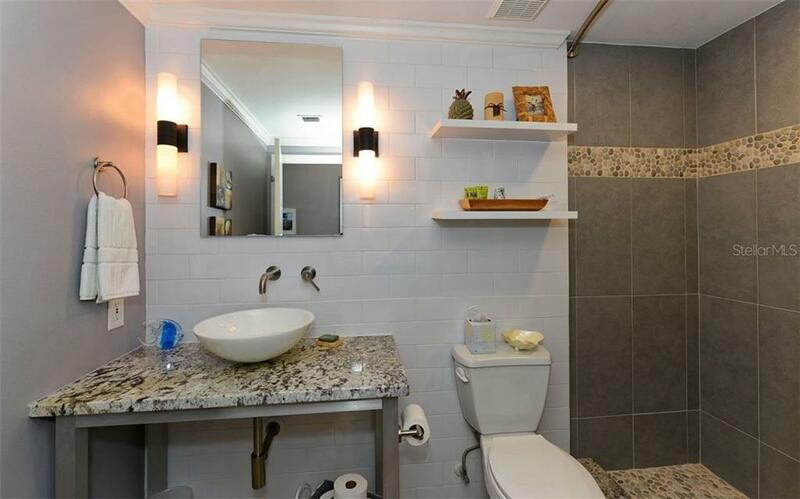 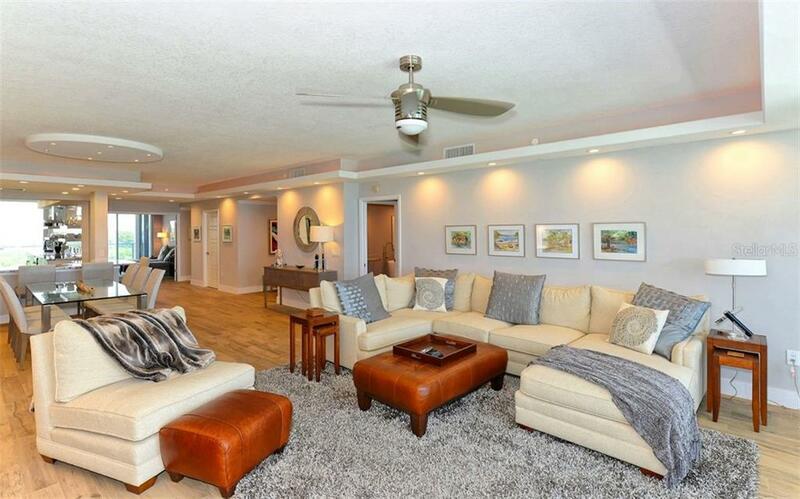 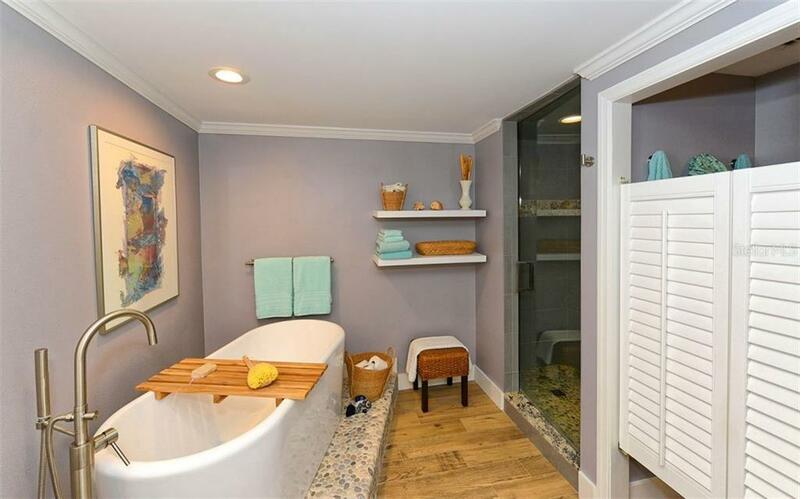 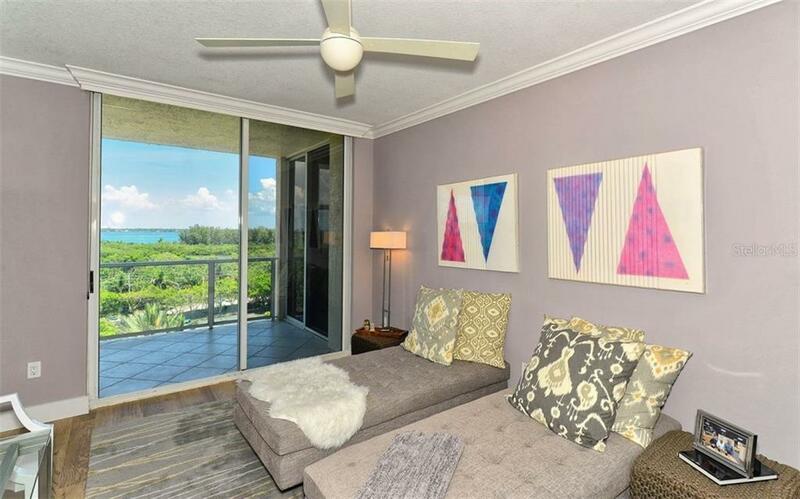 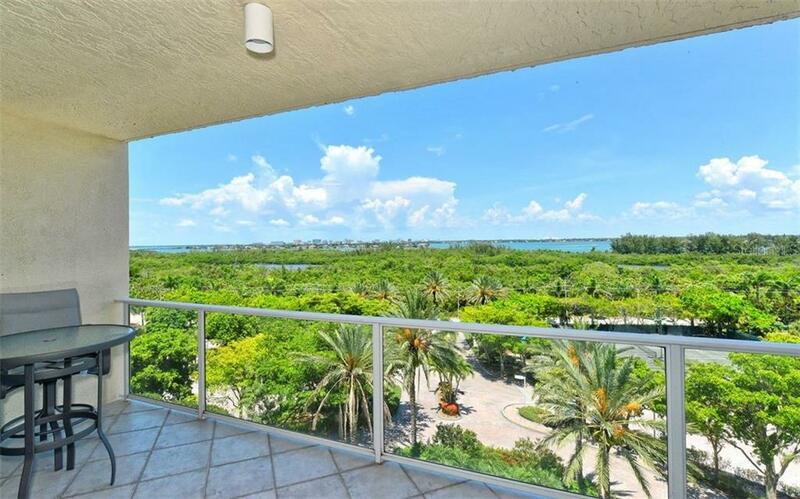 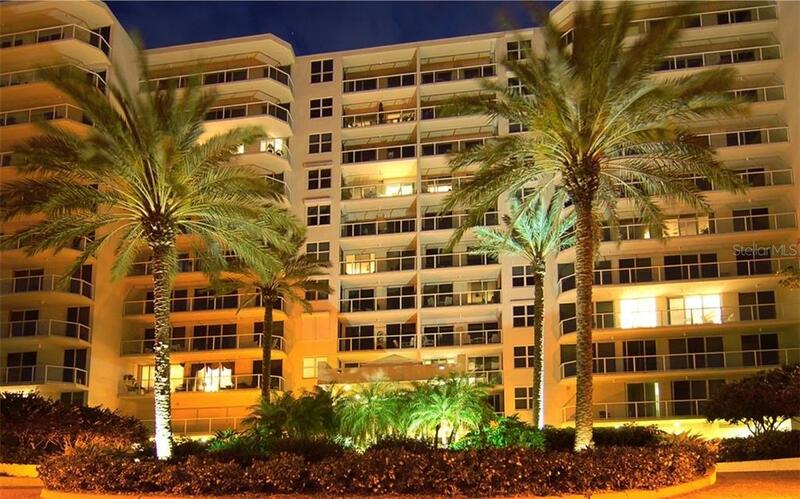 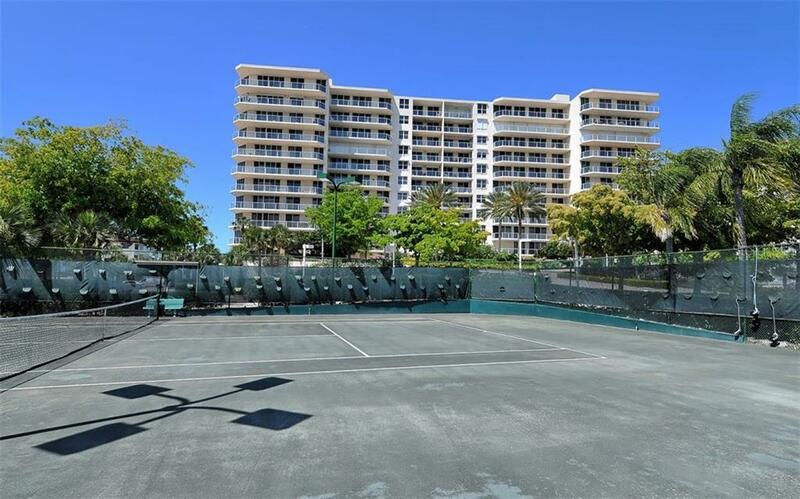 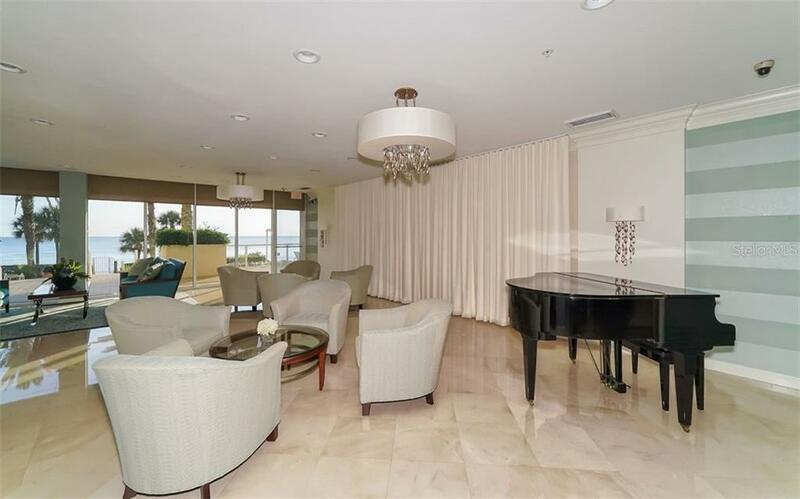 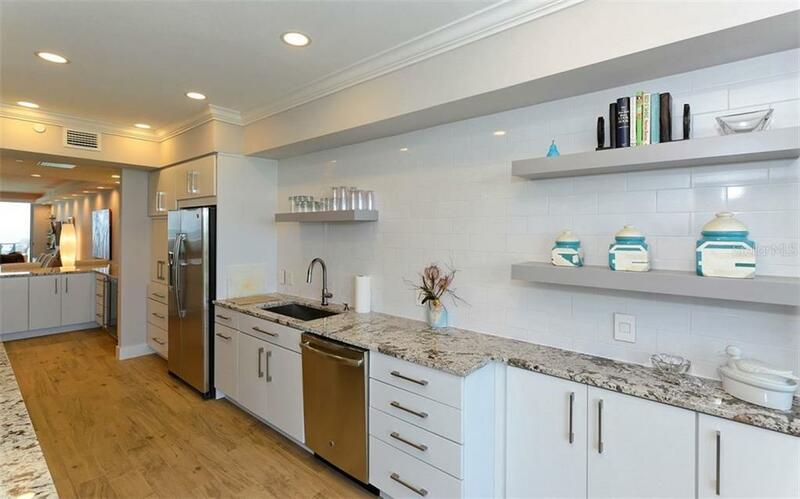 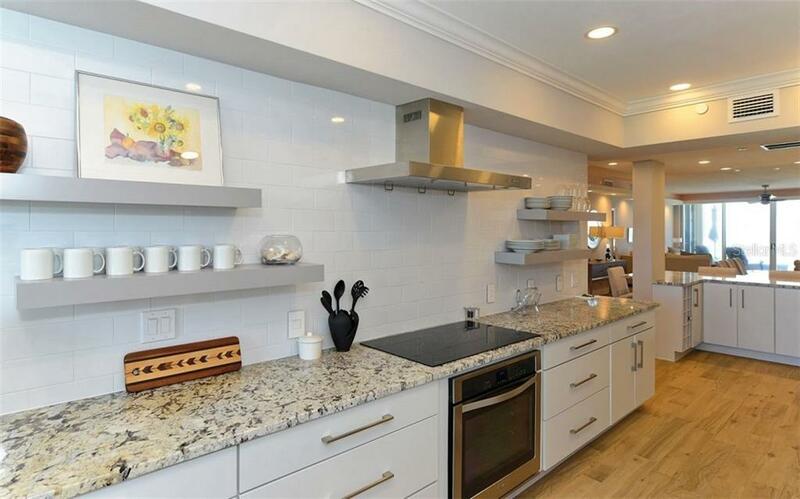 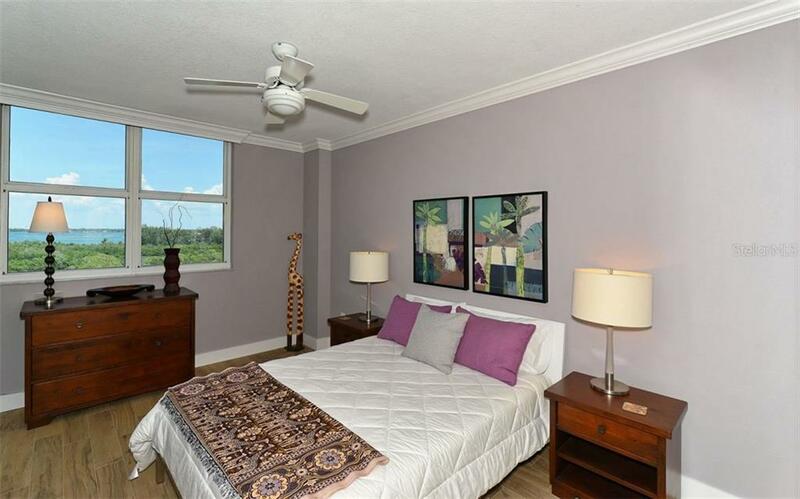 The large property has 2 lighted hard thru tennis courts and abundant parking. 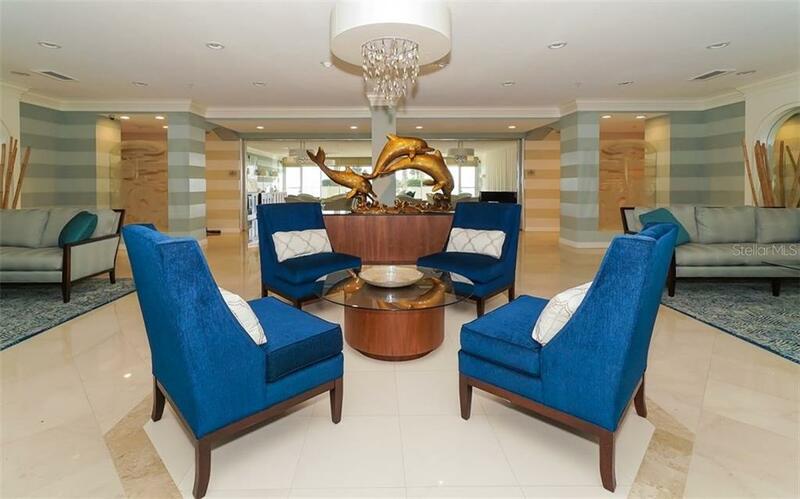 This very special residence is a must see!